In our church, the temple is a holy place where we can attend and make promises to God. Unlike our church meetinghouses, we don't have congregational worship services in temples, but we can attend them during the week as we choose. The temple is a beautiful, sacred, peaceful place, and each time I attend the temple I feel as though I have left the world behind. I am given increased clarity and peace within the walls of the temple. but the Memphis temple closed for major renovations shortly before we moved here and the next closest temple is in Nashville, so we have only been able to visit the temple a few times in the last year. 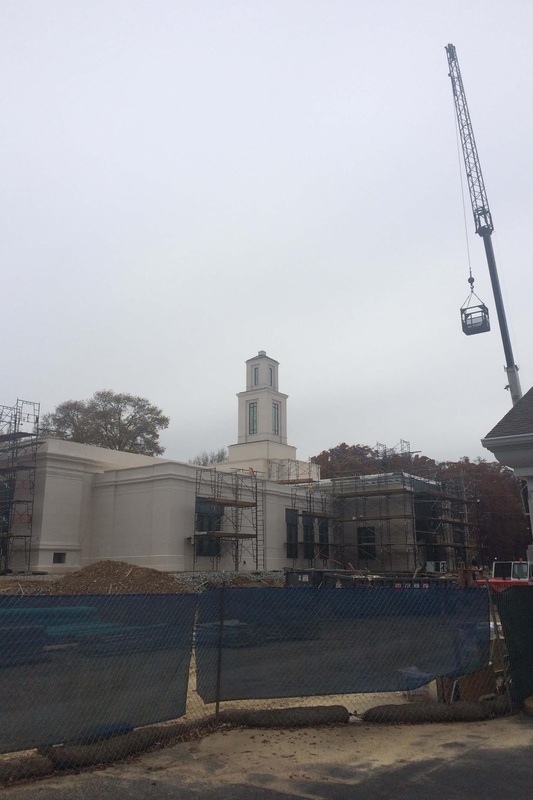 We have loved watching the Memphis temple be re-constructed from the beams up! The gleaming limestone from Portugal and blue stained-glass windows are stunning. Each week we have been able to see its progress. It is due to re-open in early May and we are thrilled! I am looking forward to being able to partake of that peace again more regularly. 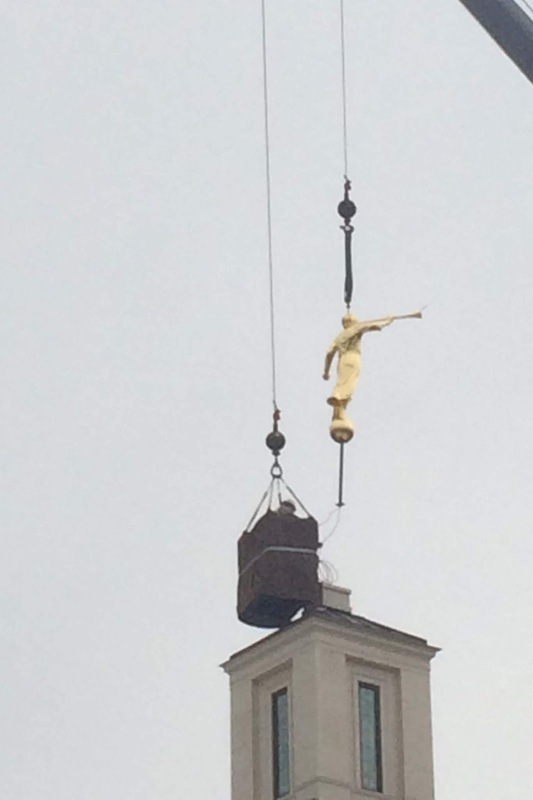 In late November the construction crew put the angel Moroni on and a big crowd of people came to watch. It was quite an exciting event! Talmage and Wesley were at school, but I took the younger three boys and we sat and watched as they raised the statue into the sky and settled it down into the hole at the top of the spire. 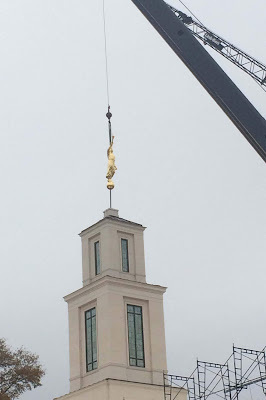 The sculptor of the angel Moroni that is on the Brigham City, Utah temple is Cyrus E. Dallin. Although he is not a member of our faith, he said that working on the project "brought me nearer to God than anything I ever did. It seemed to me that I came to know what it means to commune with angels from heaven."